Are you wondering how to make old boombox work like a speaker? This remarkable device was a big hit back in the 80s. However, because of the rapid advancement of audio technology, it is now becoming more and more obsolete. Still, there are a few that can be found in garage sales, antique stores, or in a family’s storage sheds. Like many devices from the past, old boomboxes can also be given new life and turned into a speaker. Many have successfully tried doing so, some even with just basic knowledge in tinkering audio equipment. In this post, allow us to share with you how it can be done in only a few simple and easy-to-follow steps. Music is a part of a man’s life and has been for thousands of years. It is in our nature to make music as a form of art, a way to express our feelings, and a means to record our rich history. 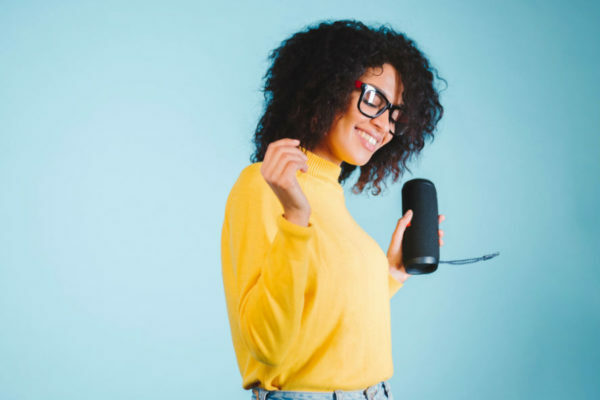 That’s why it is understandable that the electronics industry continues to produce innovative products that make music streaming easier than ever. Yet, there are some of us who dislike letting go of old pieces of devices such as boomboxes. The thing with these devices is that they are quite easy to tinker with. 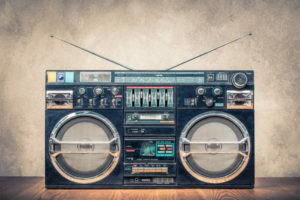 Although audio equipment and tools of today look a little complicated, their insides still have the basic technology that the boombox of the 80s have. For people who are not so familiar with a boombox, this is a portable sound system that was a big hit a couple of decades ago. 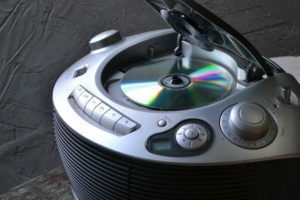 It typically consists of a radio and a CD or cassette player that is capable of making a powerful sound. Most models boast an amplifier combined with two (or sometimes more) loudspeakers. 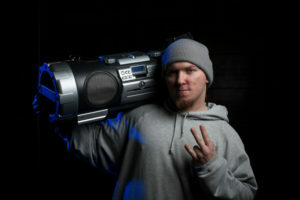 A boombox is used to play recorded music at high volume, usually with the ability to play a loud and heavy bass sound. Most models are battery-operated, they come in varying sizes, some as big and bulky as a suitcase. They were widely used on the streets by the youths of the 80s, blasting hip-hop music wherever their feet took them. 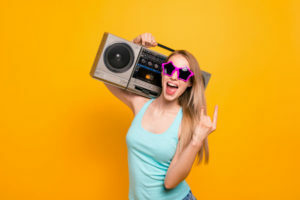 As time and society evolved, it became more and more intolerable to use boomboxes in public places because of the loud music that it can produce. The birth of portable CD players, and later mp3s, resulted in the boomboxes losing their fame. Nevertheless, you can still save your beloved boombox from being stored in the deepest, darkest part of the attic. 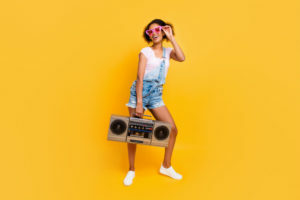 Most models of boomboxes, especially those manufactured in the 80s, have single-layer PCB, which are very easy to tinker with when you know what you are looking for. And if you don’t, you can easily find articles such as this that will tell you how to do it properly. If you know your way around audio equipment, tinkering with a boombox is easy. However, for most people, its mechanisms can be a little overwhelming at first. In this article, we have compiled a step-by-step guide on how to make old boombox work as a speaker. In this project, opening up the boombox is the first step. 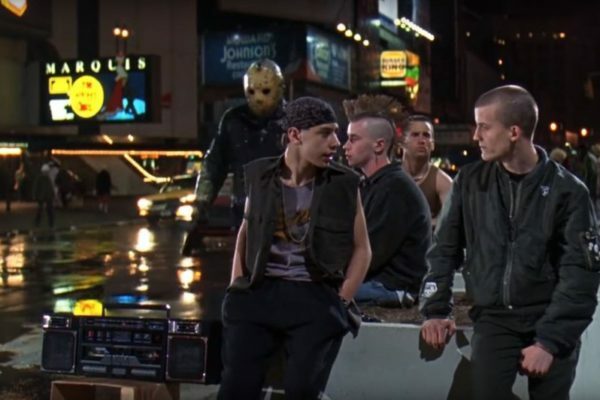 But first, make sure that the boombox is not plugged into a wall outlet to avoid electrocution. Remove the screws and carefully take off the front part of the case where the speakers are located. You may disconnect the ribbon wires, as well, if there are any. After taking it apart, you would now need to add in an aux input cable. For this project, any 3.5mm audio jack will work. The goal here is to replace the tape player function of the boombox with the aux input cable. The hard part is figuring out where exactly is the cable to be connected to the circuit board. To do this, you would need to solder the aux input cable onto the area in the circuit that is between the pre-amp and the amplifier. The outer wire should be connected to a ground pin on the pre-amp chip, while the inner wire should be soldered onto the pre-amp output pins. For a more secure connection, you can hot glue the wire onto an empty space in the circuit board. For the boombox to play the signal coming from the aux input cable that we soldered in, the tape play button must be removed. This also eliminates any unwanted noise and unnecessary power consumption. Do this by cutting one of the wires that go into the tape motor. To give the boombox a clean look, drill a hole in the back where you want the aux input cable to come out. Then, carefully reassemble the boombox. After doing this, you can now plug it in and check if everything works like you want them to. Switch from radio to tape function, and the audio from the aux input cable should play. If it doesn’t, check the wires and make sure that everything is plugged in correctly. You may take it apart again to make sure that the aux input cable is soldered securely onto the circuit board. We can all agree that there are items in our house that we have no use for any more yet we cannot simply throw out. It might be because it reminds us of a simpler life or maybe because it has a sentimental value for us. In the case of boomboxes, you can definitely give it new life by turning it into a speaker. 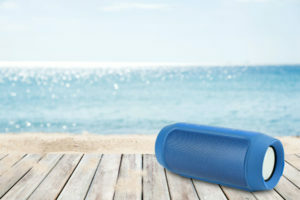 Although there are hundreds of portable speakers on the market today, there is still no reason to throw out your boombox when in fact you can convert it into a working, reliable, and functional speaker by simply following the steps mentioned above. You will not only save a lot of money but will also save a classic audio equipment from being thrown into a landfill. I have saved my boombox, well wrapped in a box, in my garage for years. Whenever I cleaned my garage I always thought “let go, you don’t need that, toss it.” But I still have it. I bought it for $50 circa 1984 and the cassette worked until 1995. 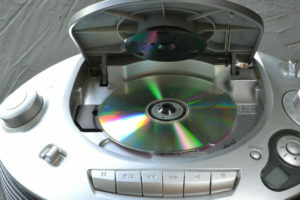 I think I hooked up an external cd drive and listened to it until I got a whole set up with a 5 disk cd player connected. I am so happy to find your site. I love the old girl. BTW – used to record music off the radio. One day I took my cassette to a friend’s house with a big fancy system. When we popped in my cassette, it was amazing how much more detail had been recorded, that was on the tape, but that had never come out of my little speakers. Now that I know my boom box is cool, it’s coming out of the box and going on the shelf. Great to hear you haven’t tossed her away! I would say, clean her up a bit, give her some love and enjoy your timeless boombox. All the best!